Baghdad is the largest city in Iraq and second largest in the Arab world. It is also capital of Republic of Iraq. The 2003 invasion by wester forces paved the way for a new city that is modern by means. Today there are more hospitals than ever before and also the healthcare industry is moving fast on the path of development. 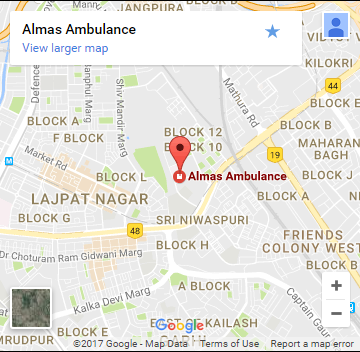 Hospitals have world-class facilities to provide the best medical care and also there are ambulances to transfer patients from one place to another. Recently a leading ambulance company of the world introduced air ambulance Baghdad to improve its healthcare services. Air transfer is safest as no time is lost and also the patient can be provided emergency care on the way to hospital. Air service reduces distance and in this way saves time and lives. The new air ambulance in Baghdad is for common people and everyone who needs the service. It is centrally operated and the service is provided by experience medical professionals. The service is available not only for patients but also for travelers who need medical attendance for safe travelling. Small aircrafts are used for transferring patients and the aircrafts are fully equipped with latest medical equipment and devices.